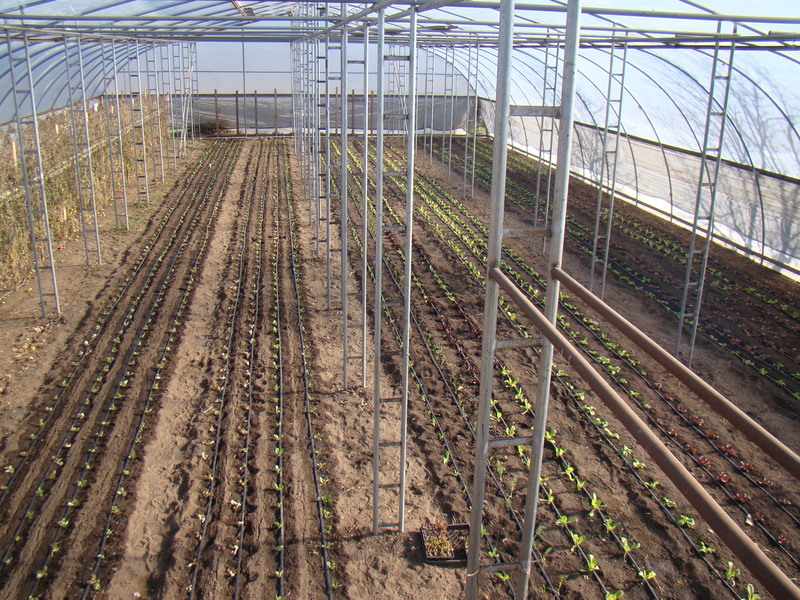 Welcome to the revamped Plant New Roots blog. New Year and time for a new look. I’m going to try to post more often and include more seasonal recipes. I hope you’re having a splendid day. Even though it’s still the middle of winter, everyday it seems as though there’s an increasing amount of prep work going on for the upcoming season. Plus, the sun is setting slightly later each day. 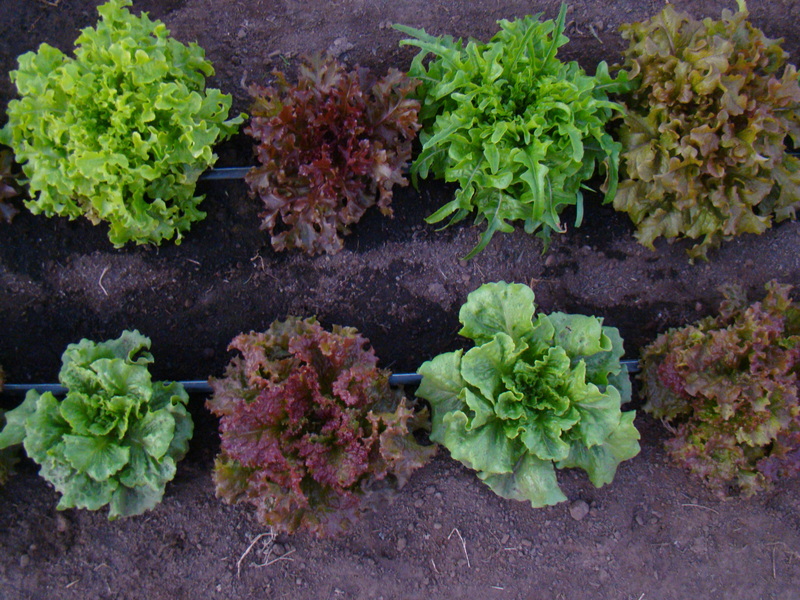 Yesterday, Jake, Evan and I seeded 40 trays of various lettuces: crisp romaine, red butterhead, red sails – delicious. Now, within each tray there are 48 individual plants, which after some calculation means we’ve got almost 2,000 lettuce heads on the way. Woohoo! Another plant we seeded yesterday was various types of sweet peppers – o the first signs of summer 🙂 Sweet red and golden Marconis, yellow and red bells, yum! The peppers are in a very fragile stage though, they’re being kept in the warmest greenhouse with heating pads under them for the first few days to aid in germination. Fingers crossed! 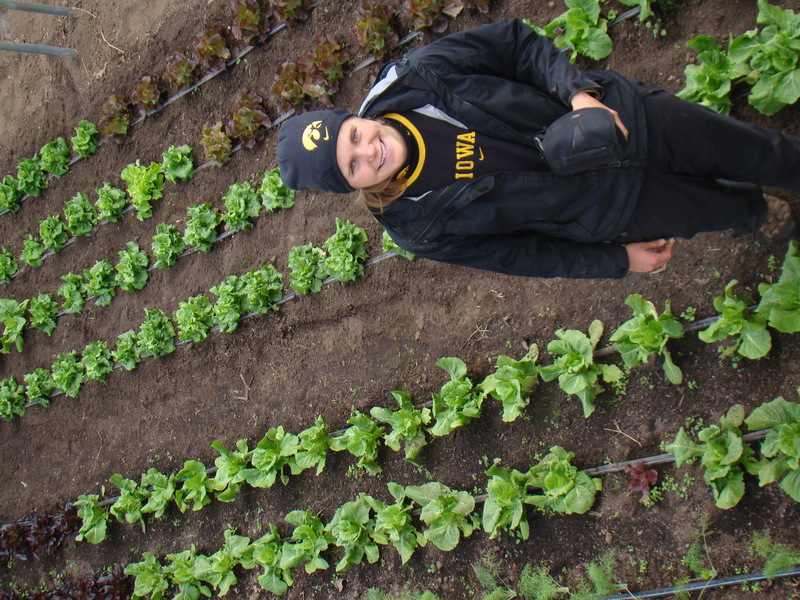 Now to rewind a bit, right before Jake and I went home for the holidays we completed a massive lettuce transplanting project. Here’s some pictures. 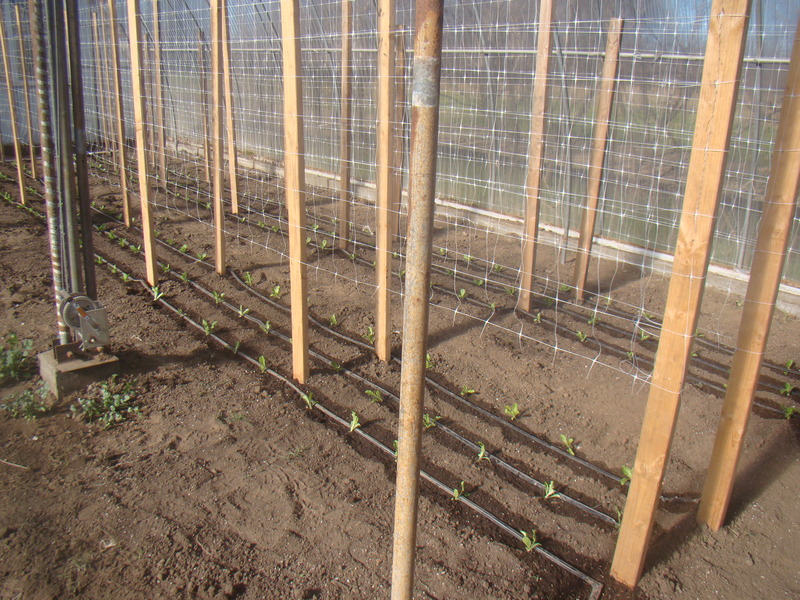 If you’re wondering, the 2×4’s and netting are used for trellising tomatoes. 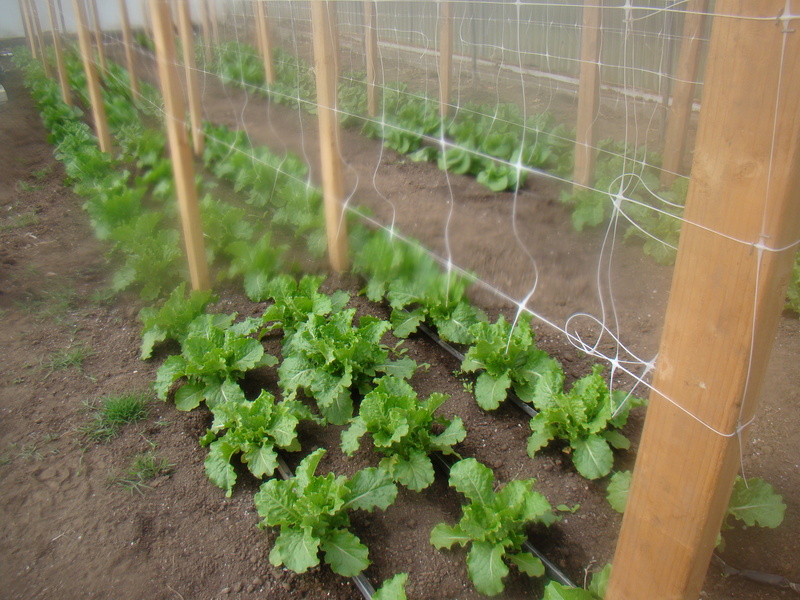 We left if up because it’s a bunch of work to install and it won’t affect the lettuce at all. 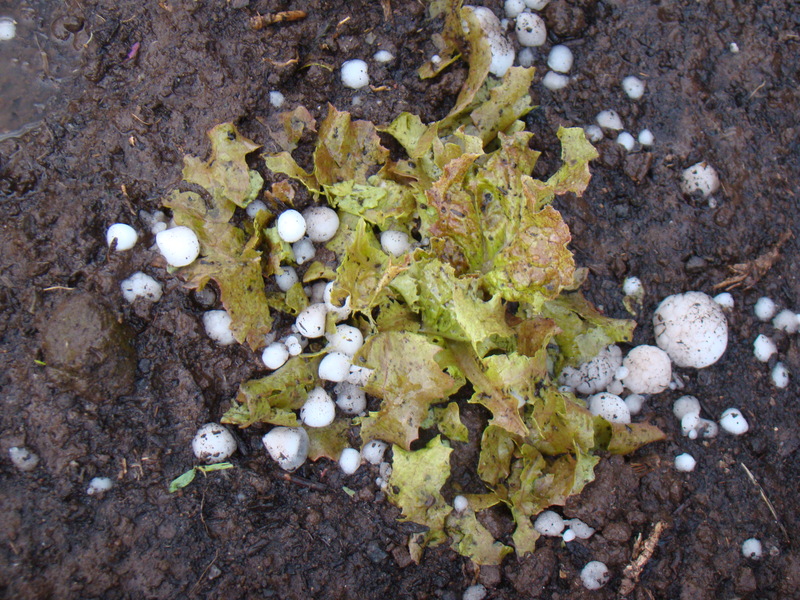 Now here’s a visual for what about 2,000 lettuce heads looks like. 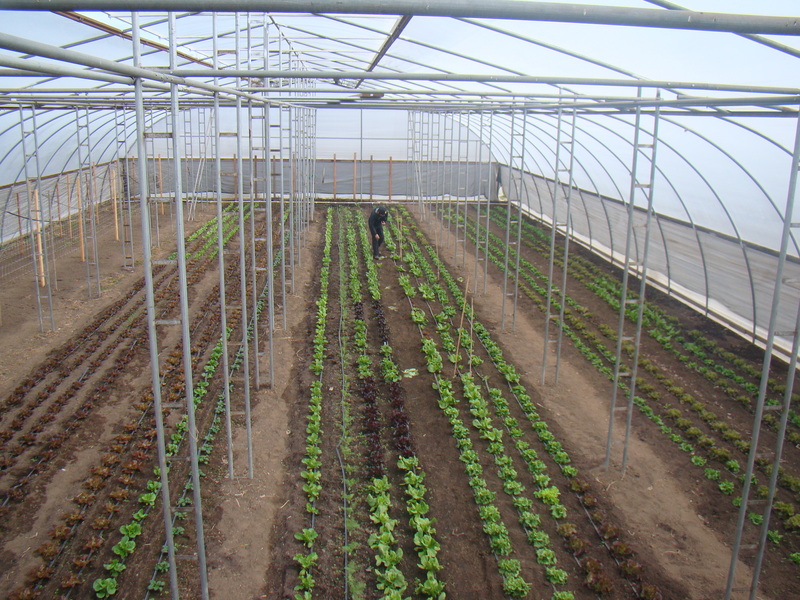 One row is all spinach (Jake and my experiment) and one row is fennel, but otherwise there’s 20 rows of lettuce at 100 feet, planted a foot apart = 2,000 lettuces 🙂 Eww, look at those nasty dead tomatoes on the far left. 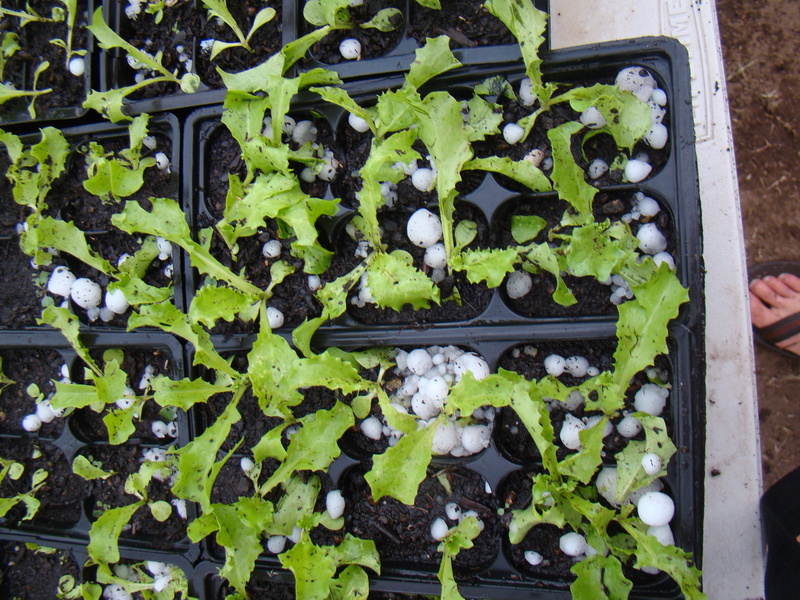 Just a few hours ago we got a solid 15 minutes of hail on the farm…golf ball and ping pong size hail. 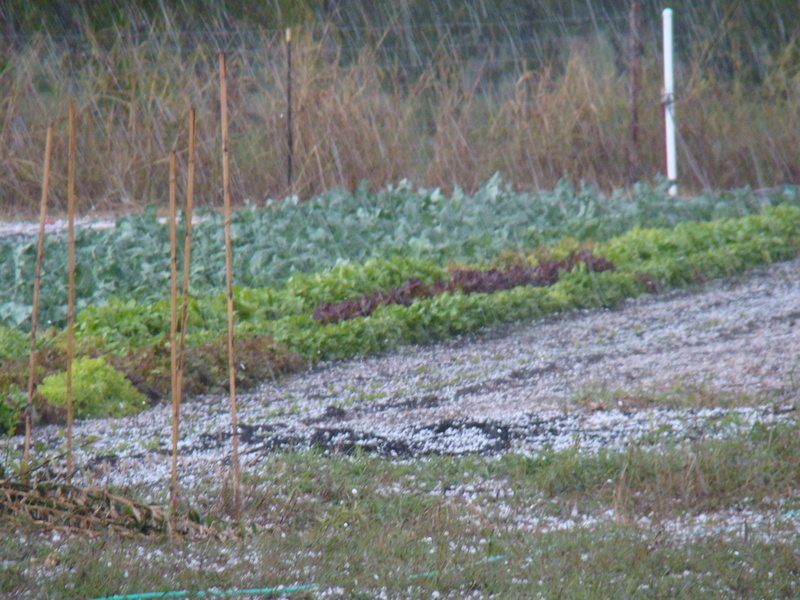 A huge field of lettuce, broccoli, chard, cabbage, and other leafy greens got demolished. The seedling starts look like they were stepped on. Heck it looked like it was snowing outside! Tomorrow morning we’re going to have to reevaluate the farm and do some serious work to try and save what we can. Check on the wild pictures…..
Is that snow in California in October?!?!? !